.......53 Buddhas and Me .................My Life Adventures.....: What is going on in Australia...........? What is going on in Australia? 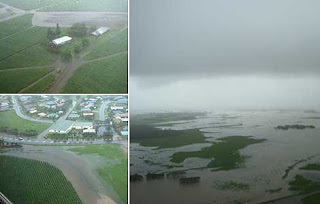 We have bush fires about 100kms south of Perth in Western Australia and devastating floods in a huge area of Queensland. 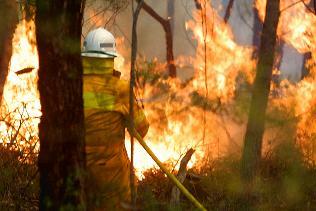 Is sickens me to read that the bush fires in WA are believed to have been deliberately lit. What possesses someone to light a fire that has the potential to not only damage a persons property but take lives. I know they say that firebugs have a mental condition but I just don't get it. On the other side of the coin the devastating floods in QLD are an act of nature. I feel so much for the people up there, they have had so many years of unrelenting drought and now it is like all the water is coming down in one fail swoop. It is sad that so many will loose houses and businesses but the real tragedy is that some will and have lost their lives. My heart goes out to all who are suffering not only at the hands of others but also at the hands of nature. Whats going on in Australia............? I am certainly feeling the anxiety for all those people being affected, Davine. I agree: What IS Going On in Australia? We're following what's going on down there with shocked expressions. Truly unbelievable -both the tragedies. We really hope things get better soon. Davine I think that the entire planet is off kilter, we're no longer living in harmony with our planet and the majority of us don't look after it and this is the result of taking advantage of Mother Earth as Indigenous people call our planet. As sad as it is this is my belief. Here we are getting crazy amounts of snow, 5 years ago we barely had the ground covered in the white stuff. I sure hope for all of you that things return to as normal as they can be and soon. I also don't understand why someone would light a fire just to light a fire, makes no sense to me whatsoever. Take care and stay safe my friend. The news coverage of the floods is scary. I'm sending prayers to Australia. It is just horrible! And I do believe it is the entire planet. Weird stuff is happening everywhere but Australia is taking the brunt right now.